JinZ's Surf Camps: For Adults and Teens.!! Year-round for adults & summer/winter camp for teens! Aloha & welcome to the island of Oahu in Hawaii, which offers the most attractive activities as well as a variety of surfing spots that are PERFECT for the beginner as well as those who have some surf experience. We will help you progress quicker than usual at our uncrowded teaching grounds, which minimize collisions & distractions for your EXTRA safety & fun. Imagine yourself riding on a gentle wave that rolls 50 to 100 yards that only you & your camp members will enjoy...complete perfection, away from the ocean congestion of Waikiki! 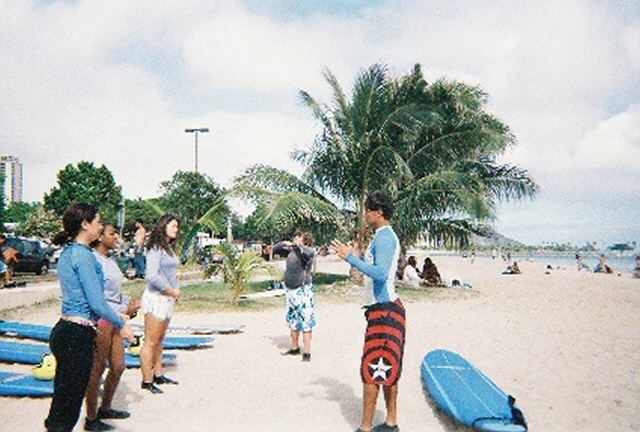 You will be learning from the the most ELITE & friendly surf Instructors, who are not only lifeguard/CPR/First aid/Hawaii State surf-instructor certified, but also Nationally accredited with the National Surf School Instructors Association. They are dedicated to teaching you with ALOHA & will be with you every step of the way...like a proud parent!!! Proper Ocean Safety Precautions - to keep yourself & others around you safe. Easiest Techniques - the least strenuous & frustrating so you will progess in surfing with FUN! 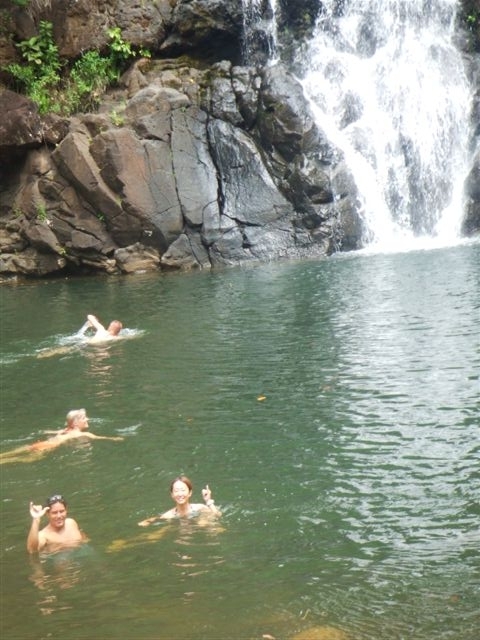 Other activities: Secret waterfall swimming, trips with beautiful scenic views, snorkeling at the best spots around the island & learning about Hawaiian Culture. And finally... JUST for fun & the experience, we will hold a Surf-Contest for you & your camp members with real surf judges and trophy prizes for 1st through 6th place! PLUS there will be a 25% discount off camp price for 1st place, 15% discount off camp price for 2nd place & 5% discount off camp price for 3rd place. This makes our JINZ's camp the best on the island! Meals: From our past experience we found that everyone has different dietary preferences. To accomodate everyone's likes/dislikes, we will drive you around to the island's finest recommended restaurants (where the locals go). This seems to make people happier & more satisfied. Come & experience a dream come true, living the lifestyle of the sport that was once reserved only for Hawaiian Kings and Queens! To book your camp PLEASE FILL OUT THE CONTACT FORM below or email us at info@alyshasurfschool.com and we will set your perfect adventure of a lifetime! Note: Teen camp price is $1175 per person.2-teens 875 each A written consent form with parent/guardian signature must be e-mailed to info@alyshasurfschool.com. All students must have basic swimming skills. Teen camp night activities will be planned according to youth programs.